That’s right boys and girls! It’s a new week and with every new week there’s new comics, and when there’s new comics there’s a new Pick of the Week Podcast! This week as always we have our good old pal Simon, who is joined by Ken, and… GOOD GOD! After a two week hiatus the great Sheldon has returned! It’s an event more important than the return of Coca Cola Classic! It’s a super fantastic Podcast filled with death, alien monsters, and of course super-heroes. This week Simon had the pick and he picked a heart-warming comic dealing with death and coming to terms with it. 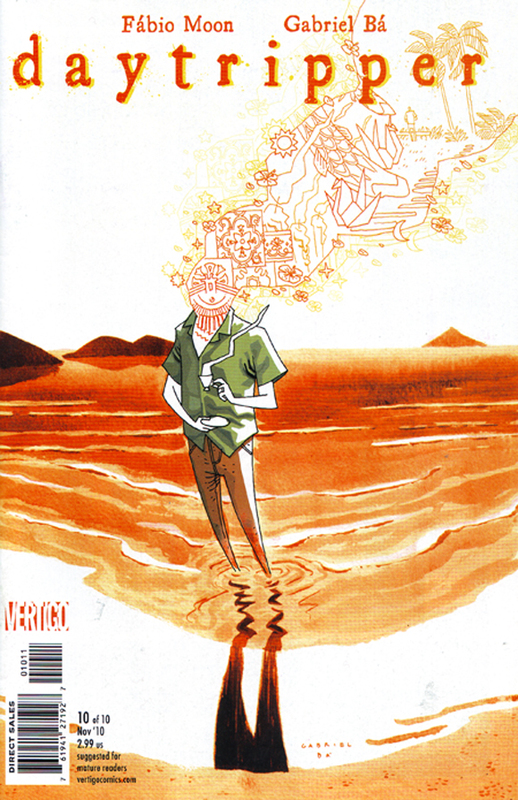 In case you couldn’t figure it out from the title of the Podcast, this week’s Pick of the Week is Daytripper#10. What? You didn’t read it?! Well you’ll hear all about it, and once you do you’re gonna run out and get all ten issues! You’ll also hear Sheldon try to convince Simon and Ken that Thanos is cool. In addition to that you’ll hear the Comic Impact team discuss Batman #703, Batman and Robin #14, Invincible Iron Man #30, Daken: Dark Wolverine #1, Amazing Spider-Man #641, and 642 (That’s right! Two Spider-Man books in one week! ), Daredevil #510, and we top it off with New Avengers #4! That’s a lot for one Podcast, but here at ComicImpact.com we do our best to give you your money’s worth (And since its free you’ll always get your money’s worth!) The team also discuss the possible nick-names for our pal, Ian. Curious to know what they are? Well you’ll just have to check out the podcast. What are you waiting for?! Do it now!